For the tenth year in a row, the Founding Partners of the original firm of Collins, McDonald & Gann will be headed to Cornell Law School to serve as Distinguished Faculty at the upcoming New York State Bar Association Young Lawyers Section Trial Academy. Rick Collins, Marc Gann and former partner the Hon. Robert (Bob) McDonald – who ascended to the bench in January, 2016 and now serves in the prestigious role of New York State Supreme Court Justice – will once again be joining with other leading trial law professionals throughout New York for this important annual event that each year provides a great learning experience for young and new attorneys. This year’s New York State Bar Association Trial Academy is taking place from April 3 – 7 at Cornell Law School in Ithaca, NY. The NYSBA Trial Academy is a five-day trial techniques program to teach, advance and improve the courtroom skills of young and new lawyers, with an emphasis on direct participation. The Trial Academy provides a unique opportunity for attorneys to learn from and make connections with NYSBA leadership and leading litigators, advocates and judges from every region of New York, and is designed to help young and new lawyers gain valuable trial skills. Each morning of the Trial Academy will feature a lecture on the following aspects of the trial process: Jury Selection, Opening Statements, Evidence, Foundations and Objections, Direct Examinations, Cross- Examinations, Trial Motions and Motions in Limine, and Closing Arguments. Each afternoon the lecture group will separate into small break-out groups. As Distinguished Faculty, Rick, Marc and Bob will once again offer their insight into criminal law and trial techniques to young and new lawyers, and will be providing attendees with one-on-one critiques and feedback on trial skills learned throughout the program. As in past years, Rick Collins will also be a featured speaker on the first day of the program, addressing the topic of Opening Statements in criminal cases. The Trial Academy is limited to 60 participants and has been approved for a total of up to 37.5 MCLE credit hours, consisting of 2.0 credit hours in Ethics and 35.5 credit hours in Practical Skills. 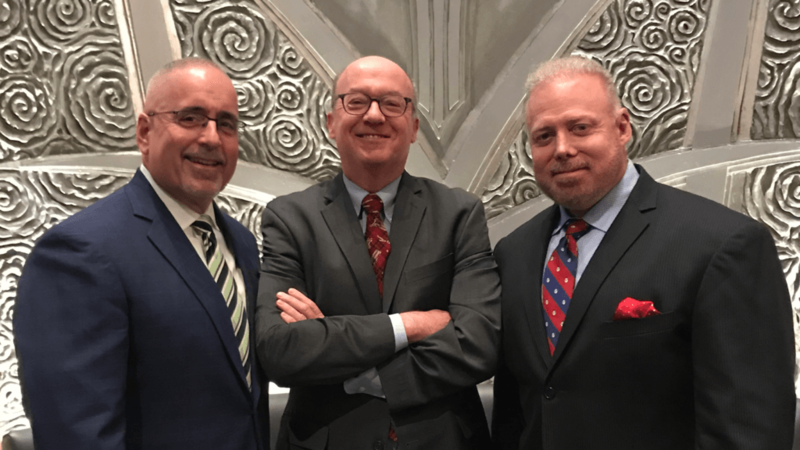 Rick and Marc look forward to once again joining with former partner Judge McDonald for this annual New York State Bar Association event that each year offers new attorneys a unique workshop opportunity to put theory into practice. For more information about the 2019 Young Lawyers Section Trial Academy at Cornell Law School, and for a complete program and outline of program sessions, click here. In addition, for information about Collins Gann McCloskey & Barry and the firm’s practice areas, including the recent addition of expanded practice groups, visit www.cgmbesq.com, or call us at 516-294-0300.